Spend an original New Year ... 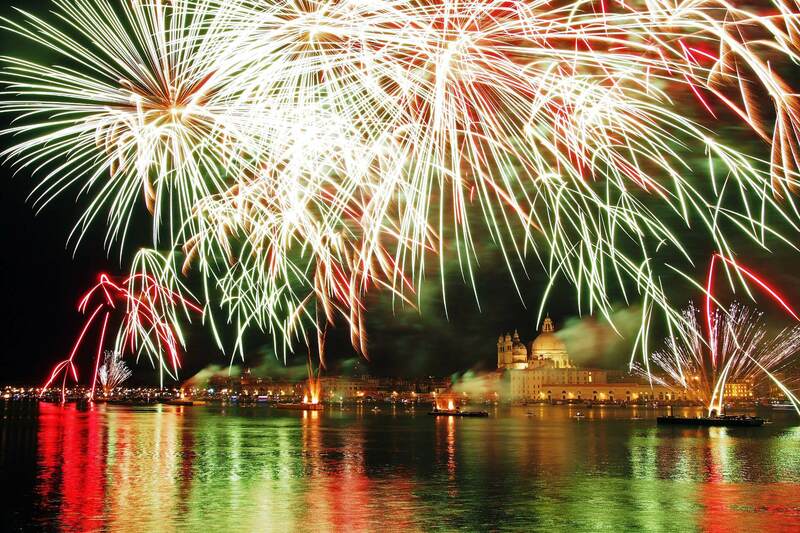 Experience the thrill of toasting in the New Year facing St. Mark's Square! Once we've set anchor, we'll commence the evening by opening the Grand Buffet of San Silvestro, accompanied by the wines in our galley, in addition to the free bar available throughout the stay on board. We'll start the countdown to the midnight toast right in front of St. Mark's Square, raising our glasses from the bridge on the Galleon, under a rain of fireworks that will illuminate Venice, saluting the most magical and unforgettable night of the year ... A unique and fascinating atmosphere, with an inspired musical selection, engaging situations and moments of fun accompanying the Galleon's navigation throughout the evening. Organize your private party on board the Galeon - let's plan the most suitable setting for the occasion. Treat yourself to a romantic dinner in Venice by candlelight, sailing amidst the canals and islands of the lagoon. Every Wednesday and Friday. An exclusive costume party to experience the madness of the Venice Carnival aboard the unique atmosphere of the Venetian Galleon. Amaze your partners, clients and collaborators by choosing a stunning and unusual location for your professional event.